At Shining Honor Project, our process begins with our valued partners in Oklahoma and Montana. 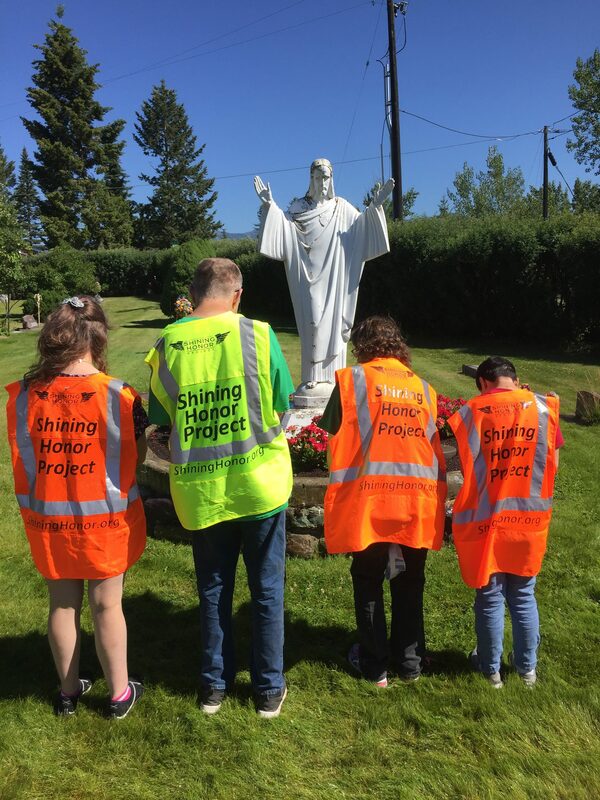 Organizations such as Gatesway Foundation, Flathead Industries and Lighthouse Christian Home, each have outstanding reputations for providing vocational job training and job placement for people with developmental challenges. We fund the cleaning of veteran’s headstones by adults with developmental challenges.